This story is about Beer. It features many other things. A beautiful girl with a deadly vendetta. A particuly devious stripper. A crossbow with a hair trigger and a screaming car chase through the backroads of Central Hampshire. But at the core of the story - at it's heart - it's about beer. Just to clarify. When it comes to doing business with bootleggers, Adventure Eddy soon discovers that breaking deals comes as naturally to them as breaking import regulations. So when unscrupulous smuggler Joe Jenkins stiffs him as badly as he’s stiffed Customs & Excise, Eddy decides it’s time to take back what he’s owed. 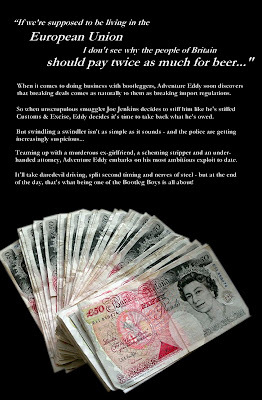 But swindling a swindler isn’t as simple as it sounds – and the local police are getting increasingly suspicious. Teaming up with a murderous ex-girlfriend, a scheming stripper and an underhanded attorney, Adventure Eddy embarks on his most ambitious exploit to date. 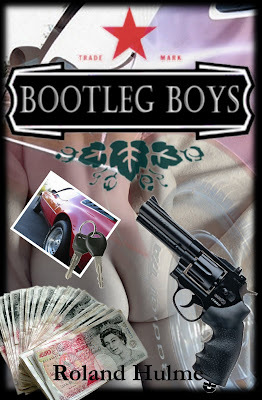 It’ll take daredevil driving, split-second timing and nerves of steel – but at the end of the day, that’s what being one of the Bootleg Boys is all about. It's been a long journey to New York... Starting off in Winchester, heading off to Cornwall, the Isles of Scilly, Paris, Normandy, Long Island, back to Winchester and finally finding home in New York. I'm a writer, a marketing pundit, a battle-scarred veteran of the commercial radio industry and, of course, a gratuitous self publicist. I have a love of classic cars, cocktails, adventure and travel.